Fill out the form and an NSI Security Specialist will contact you at the phone number below about NSI offers. Need Security Consulting ? Bryan is a Licensed Security Consultant who is available 24/7 to respond to any security consulting questions you may have. With a great deal of qualifications and excellence in customer service; Bryan is always more than happy to assist you and provide the best approach to your specific security needs. Are you looking for house security systems, home office security systems, commercial solutions or residential. NSI can help you find the best, most affordable system. At Worldwide Online Printing here in Caboolture we switched to New Security Installations Pty Ltd approximately two and a half years ago through a change of ownership of our previous security electronic monitoring provider. 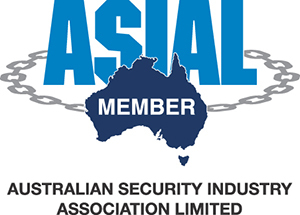 The fees for New Security Installations are far more cost effective than our previous provider and in fact a large difference from what we had being paying for in our branch that we had had for several years in the CBD Brisbane. Bryan Langler and his team have given us excellent service over this time and having an electronic PDF file emailed to me each Monday morning with who opened up-closed up and exact time is an added bonus. Copyright 2014 New Security Installations | All Rights Reserved.